Reduce impact of diffuse pollution that arises from rural land use in River Leadon catchment by reducing inputs of nutrients (phosphates & nitrates from fertilisers & manures), sediments (from soil erosion & run-off) and pesticides. Promote better flood risk management for River Leadon catchment by helping to reduce quantity/rate of surface water run-off, reducing soil erosion, promoting flood attenuation techniques (Rural SuDS) and reconnecting River Leadon with its floodplain through wetland habitat creation/enhancements & implementation of best practice for wet ditch management. Promote enhancement, and where ever possible facilitate creation, of ponds/scrapes, wet woodland, wet pastures and other wetland habitats to benefit flood risk, water quality, biodiversity and the landscape of River Leadon catchment. 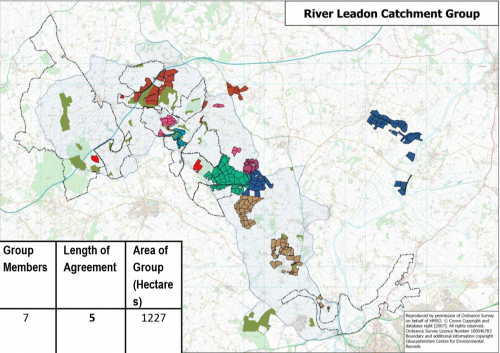 Promote better soil management within River Leadon catchment; helping to establish grass buffer strips and/or hedgerow restoration in arable field margins with a high risk of soil erosion & run-off and promote fencing-off of watercourses & alternative watering solutions for livestock units. Enhance and promote expansion of existing woodland (and hedgerows) of River Leadon catchment, including Collin Park Wood SSSI, to intercept diffuse pollution from agricultural land, reduce flood risk and provide sustainable wildlife corridors between currently isolated woodland blocks thereby increasing connectivity and reducing fragmentation. 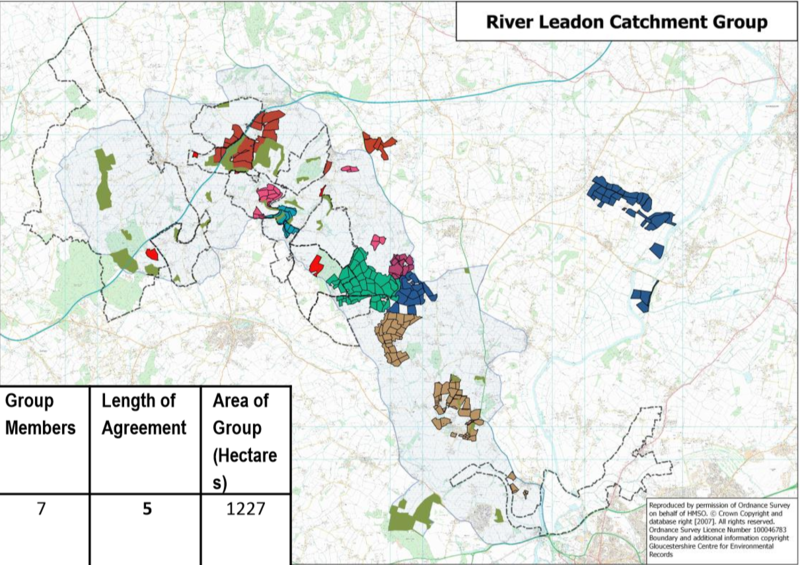 Provision of high quality advice to enable tailored management of priority habitats (E.g. watercourses, woodlands, orchards, grasslands, arable field margins, etc.) and protected species (E.g. bats, GCNs, etc. ).